In order to fulfill the requirement of the clients, we have been engaged in offering quality range ofStainless Steel Fittings. 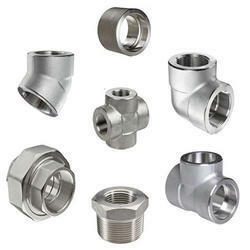 The Steel Fittings we are offering are manufactured by using quality-approved material and employing modern machines. Our professionals keep vigil on the entire production process, with an aim to manufacture high quality fittings and remove defects, if any. Along with this, our quality experts also test these Steel Fittings on various quality parameters before the final delivery. 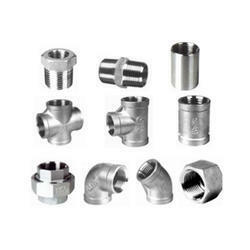 Customers can also avail these steel fittings in metric and imperial style. 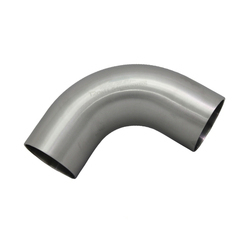 Using the best grade stainless steel, we are successfully manufacturing and supplying a wide gamut of Stainless Steel Dairy Bend. The offered products are stringently checked under the supervision of our skilled professionals against the exquisite parameters of quality to ensure hassle free range to our clients. In order to this, these are highly demanded in the market for their sturdy design. PARMAR STEEL & ALLOYS offer both buttweld and forged Stainless Steel Fitting for exclusive industrial use. They are made using ASTM / ASME A/SA 182 with grade F 304, 304L, 304H, 309S, 309H, 310S, 310H. They are powder polished to make them anti corrosion and rust preventive and they are also manufactured in different sizes and make to suit various industrial machinery. We can modify them according to various specifications and our customers appreciate them a lot. 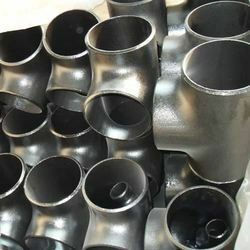 We are one of the prominent manufacturers and suppliers of supreme quality Carbon Steel & Stainless Steel Pipe Fittings. 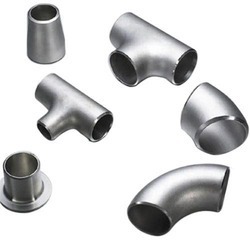 Forge Fittings, Stainless steel, which is best in the market, is used for manufacturing these fittings. Precisely engineered as per the industry set norms and regulations, the offered fittings are known for their dimensional accuracy and robust design. 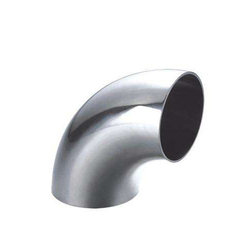 Being an industry leader in the sphere of importing, trading and supplying superior MS and SS products, we bring forth for our clients an extensive assortment of Stainless Steel Pipe Fittings. Made using pure and excellent grade stainless steel, these products are stringently checked on different quality parameters so that it performs superbly at user’s end. We offer our ranges of fittings to our respected clients at reasonable prices. Being the most respected organization guided by experienced and knowledgeable professionals, we provide an enormous assortment SS Fittings. We are providing optimum quality fittings in various sizes, shapes and dimensions to fit in users' criteria. To manufacture this quality assured fittings, premium quality stainless steel is used by our professionals in compliance with set industry norms. These are highly appreciated by our customers for its durability and flawless finish. 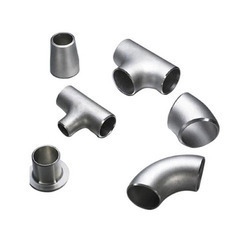 In series of delivering world-class product line, we offer functionally advanced array of Forged Steel Pipe Fittings. Our entire product range is treasured among the clients for long service life, durable standards and high strength. 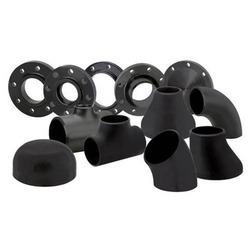 Forged Pipe Fittings ensures smooth applications. 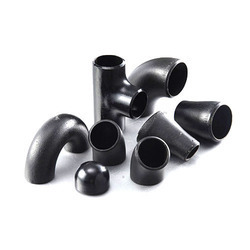 Fabricated from superior quality raw material, our Mild Steel Pipe Fittings are ideal for multiple connection of pipes. 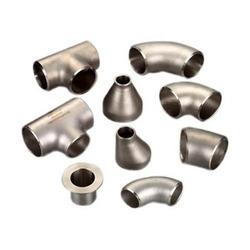 our Carbon Steel Fittings are widely reckoned for durability, corrosion resistance and dimensional. the clients an exclusive collection of Carbon Steel Fittings to our esteemed customers in supreme quality. 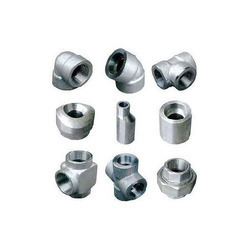 Our organization PARMAR STEEL specializes in manufacturing an extensive range of Forged Steel Fittings. These high tensile strength components and fittings are manufactured in line with the prevailing quality standards. Furthermore, available in various dimensions and specifications, our stainless steel products are suitable to be used in automobile, engineering, mechanical, construction and other allied industries to cater to varied applications. We are successfully ranked amongst the top manufacturer, exporter and supplier of optimum quality Mild Steel Tube Fittings. Our offered range of steel tube fittings is processed at our highly developed processing unit by utilizing leading technology according to the predefined standards. Apart from this, we examine these steel tube fittings on different provisions of quality. Additionally, our customers can take the whole gamut at competitive rates. Carbon Steel & Stainless Steel etc. 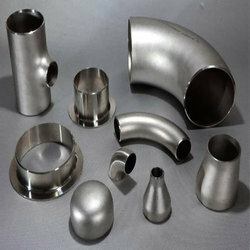 Being a well established organization, we bring forth an excellent assortment of Schedule 80 Steel Pipe Fittings. Our offered range is widely appreciated by our prestigious clients for their precise design and durability. 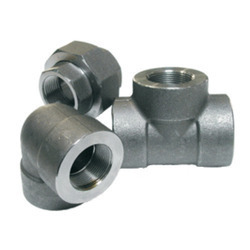 The offered fittings can also be availed in various sizes, designs and other related specifications. Our provided range is manufactured by a team of vendor’s adept professionals utilizing quality approved raw material and advanced technology. Pipe fittings. Such as elbows, tees, caps, bend etc. Pipes. Such as seamless pipes, seam pipes, drill pipes, casing pipe. Fasteners: Washers, bolts, nuts, screws.